The Quattro PLUS CRE and Quattro PLUS TW aim to significantly reduce downtime and maintenance often associated with belts being unable to cope with the applications in which they are being used. The Quattro PLUS CRE, a heavy-duty, cogged raw edge EPDM wedge belt is made of synthetic rubber and polyester tension member for improved belt stability. 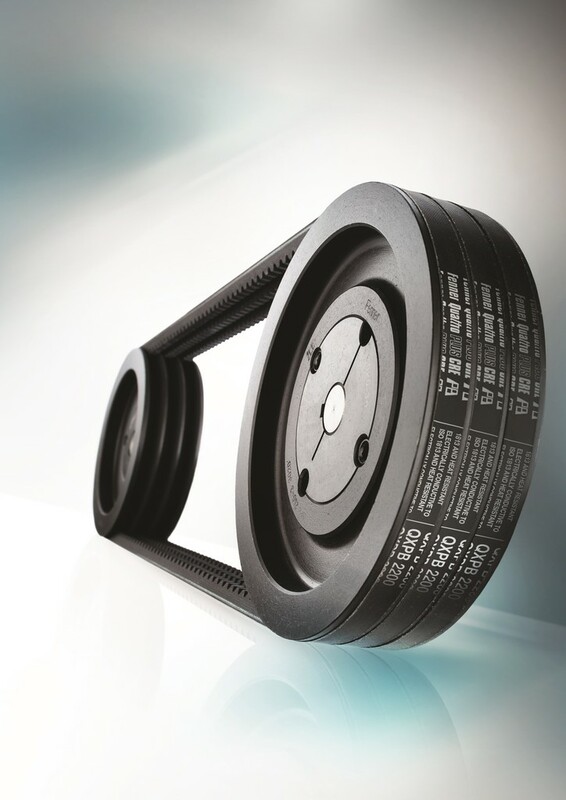 The belt is available in four different profiles with lengths ranging from 512mm to 5000mm, and is ideal for tropical climates in applications ranging from fans, compressors, and pumps, to printing machines and elevators, given its ability to withstand temperatures from -40°C to + 130°C. Its high performance unique polyester tension member and EPDM contact section allows it to transmit 26 per cent more power than traditional CRE belts. Having been redesigned using a range of innovative new materials, the heavy-duty V-belt offers a vast range of improved benefits. The Quattro PLUS CRE is equipped with an enhanced tooth profile that improves belt flexibility to reduce bending resistance and increase efficiency alongside service life, while its low weight helps to reduce both inertia and vibration. A lower pre-tensioning force also offers longer bearing life and extends the maintenance period between re-tensioning. The Quattro PLUS TW is conditionally oil resistant, available in lengths ranging from 1202mm to 9500mm, and able to withstand a temperature range of -30°C to +80°C. The belts are constructed using a state-of-the-art wrapped chloroprene rubber construction and high modulus polyester cord to reduce elongation. The belt also has a unique 2-ply asymmetrical weave outer jacket that is highly abrasion resistant yet flexible enough to wrap around small diameter pulleys. As such, the Quattro PLUS TW is suitable for a wide range of industries and heavy-duty applications, including waste compactors, crushers, heavy duty conveyors and woodworking machinery. Gary Price, European Category Manager for Open Drives and Services at ERIKS UK & Ireland comments: “It isn’t unusual for us to see belts become prone to significant downtime and maintenance simply due to them not being able to withstand the conditions in which they are placed. Some belts can stretch unevenly, and slip and jump out of pulley groves due to being located in a dusty environment, while others can even melt if they are unable to cope with extreme temperatures.